Wouldn’t it be nice if every time someone types in keywords in Google related to your company, that your company’s offerings came up on the top of the results page? How about if you knew that in Minneapolis on average, across all industries, the top 5 google search results get over 75% of all traffic? Just imagine the business you could get from that! Let’s face it: getting your company listed in the top google listings should be top priority and I’m going share with you a few SEO Expert tips to think about when you are creating your online marketing content. In order to rank organically to the first page of SERP’s (search engine results page) in Minneapolis you need to ensure that your marketing campaigns are keyword driven. Organizations are putting in an extraordinary amount of effort in generating their content, but not enough focus on keyword research that will actually draw the traffic they require. When you know the topic of your chosen marketing initiative then you can turn to Google AdWords Keyword Planner to find the relevant keywords that will match your campaign. Your research should turn up the most popular keywords that are used in Minneapolis in certain industries and for specific products. Another great tool that will show you what people are searching for in your field – is Google Trends. When you have insight into what people are actually typing into search engines you can accurately target them with relevant keyword usage. I am sure you have often seen those list of keywords that come up at the bottom of each page of search results? They are known as latent semantic index (LSI) and they can also help you to see which combination of keywords rank highest. Keywords are not only for your content copy but must also be used in your title tags, heading tags and meta descriptions. A title tag is the clickable title of your web page that is displayed on SERPs. It is an accurate description that tells a user what they can expect from the content on your page. The optimal length of a title tag on Google is between 50 -60 characters. It’s a short, concise, punchy headline. This is the first impression that you are making for a potential visitor to your site –make it count. These title tags are displayed on SERPs, web browsers and social networks. But be sure never to keyword stuff your title tag with a repeated list of keywords. It creates a bad user experience. A heading tag is usually the title of a blog post or the category name on a product page. The most essential HTML tag is known as the <h1> heading tag. These tags help search engines to decide the relevancy of your page and if the content is broken into logical chunks for an easy user experience. Meta descriptions are like page summaries. They must be unique to each page and it is vitally important that they are added to the head of every webpage. They increase user click through rates from SERPs. This is an opportunity to use keywords relevantly and intelligently. It’s a highly compelling piece of short content to attract the visitor to your page. The description should not be longer than 160 characters. In order to rank high in Minneapolis you must start blogging and producing optimized content on a regular basis. With over 150 million blogs out there you might be wondering why you should join the fray. Your webpage is essentially static and often doesn’t attract many new visitors or potential customers. When you consistently publish top quality, helpful posts that alleviate customers pain points, it drives more traffic to your site with more conversions. Along with producing excellent content for your blog, you also need to generate powerful backlinks to your site from relevant and high authority websites. These are links that are directed towards your blog and are also known as inbound links (IBL’s). The more IBL’s, the more Google knows that your website is both important and popular. 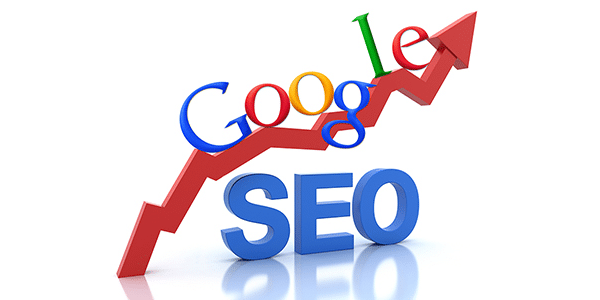 This good SEO practice will see Google rewarding you with higher rankings on SERPs. However, these backlinks must be high quality. It’s not the number of backlinks that Google registers but their quality that matters. If you are getting a backlink from a site with content that is irrelevant to your content, the search engine will register it as a low quality link. Google customer reviews really matter to your local Minneapolis ranking. When potential customers find your name in the local search pages they will be looking at your “star” rating first and start reading a few reviews that pop up. The company in the first place ranking, usually has about 33% more customer reviews than their competitors and also generates more clicks. Customers love to see those stars. Once you start getting more reviews than your competitors in Minneapolis your map listing will rank higher. Need more information? Looking to boost your search presence in Minneapolis, but not sure where to start? Book a call with me or one of my SEO experts at Gorilla Webtactics for FREE advice. We have helped several companies rise to the top search engine results – FAST. We are your Minneapolis SEO experts. Contact us today and we will help you develop a long term SEO strategy that will bring in profitable results that you can bank on.